“I’ll always find you” – Prince Charming to Snow White. The episode starts off with a flashback. We get another shot of Yu Fei trying to sweet talk Xiang Xiang and soliciting kisses from her, but fails completely. Let me repeat that, he FAILS. HA! But I have to admit, a small part of me kind of wish they get together in an alternative universe. They are so cute sometimes! Argh, why can’t Xiang Xiang have them both?? A girl can dream, right? Xiang Xiang wakes Jing Jie up in the middle of the night to announce that she wants to break up with Yu Fei. Jing Jie threatens to quit because she can’t handle Xiang Xiang’s back and forth these days – wanting to be with Yu Fei and then not. Xiang Xiang confesses that she is still not over Gong Ming even though everyone says he is not real. Jing Jie comforts her by saying that she must face reality and value what she has now. 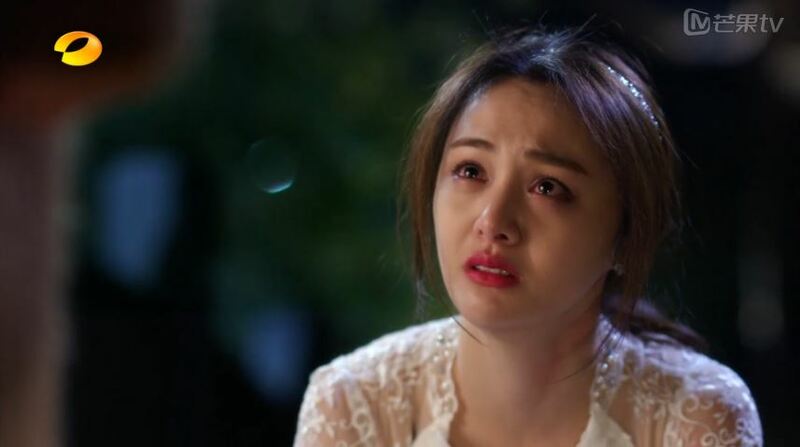 Despite promising Jing Jie that she will try to forget Gong Ming, Xiang Xiang spends all night thinking about him. Meanwhile, Gong Ming is also having a hard time sleeping in 16 B.C. 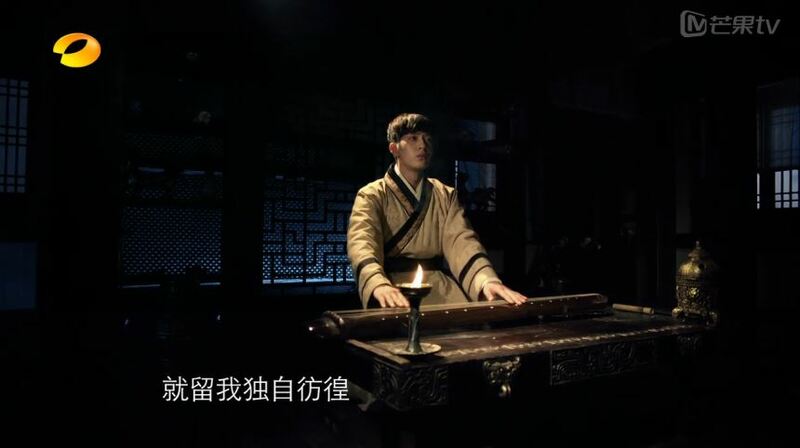 so he lights up a candle to play his Chinese zither. 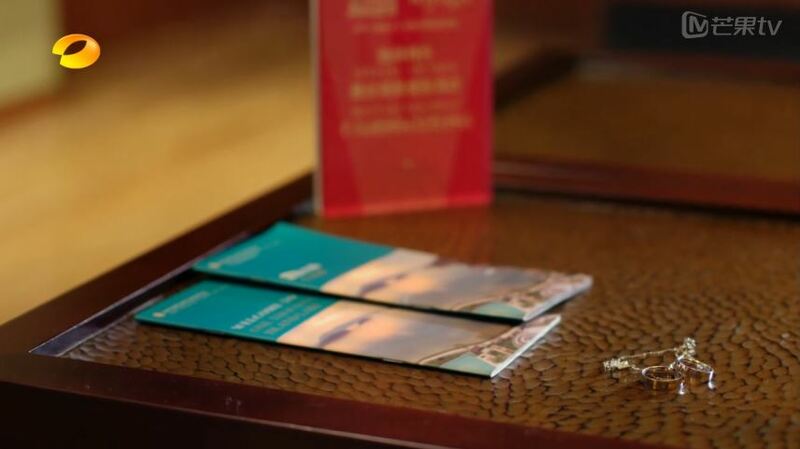 The next morning, Xiang Xiang is packing up her stuff and leaves the couple ring on the hotel coffee table in an attempt to convince herself of Gong Ming’s nonexistence. Gong Ming decides to meet up with Wang Mang against Ying Yue’s advice. Wang Mang catches Gong Ming up on what went on between them since their chess game. He warns Gong Ming against plotting anything again because it will only be a repeat of what has happened already. Gong Ming, of course, is still not willing to change his mind. 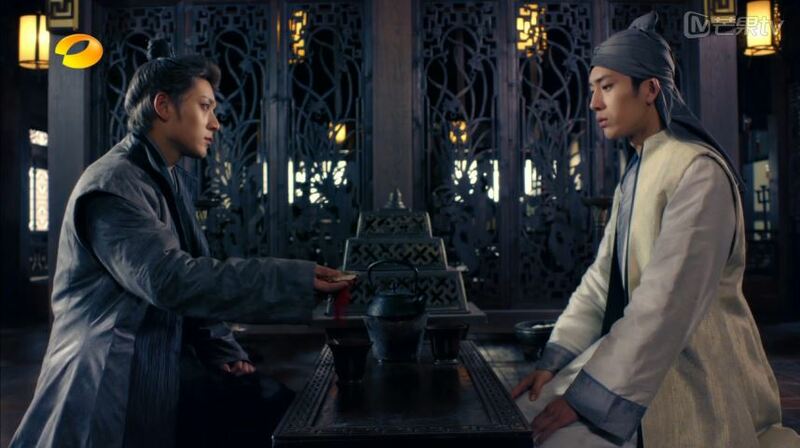 Seeing how he cannot alter Gong Ming’s decision, Wang Mang asks to not involve Ying Yue in their fight. Gong Ming reveals that he has already made plans to marry Ying Yue, so she will not be out and about any more, therefore out of harm’s way. Wang Mang is completely heartbroken. Completely, heart, broken. I hope this doesn’t fuel any anger towards Gong Ming. That would be way too cliché. Wang Mang brings out the jade pendant and returns it to Gong Ming as a wedding present. Gong Ming is not sure what the pendant is supposed to do, but Wang Mang has hatched an egg… I mean, a plan. A plan! He tells Zi Xiu to shoot an arrow towards Gong Ming as homeboy walks away. The arrow hits the column and Gong Ming vanishes. Wang Mang is now certain of the magic the pendant brings. But wait, didn’t the pendant break? I thought it was broken and that’s how Gong Ming got stabbed? Unless if they fixed it? #confused. Gong Ming is in 2015 again! And he is inside a pool. Good thing he knows how to swims! He gets to the locker room, leaves a guy some ancient coins and takes the dude’s fur coat! (This teaches us all not to leave our possessions around unattended while we chat on the phone). 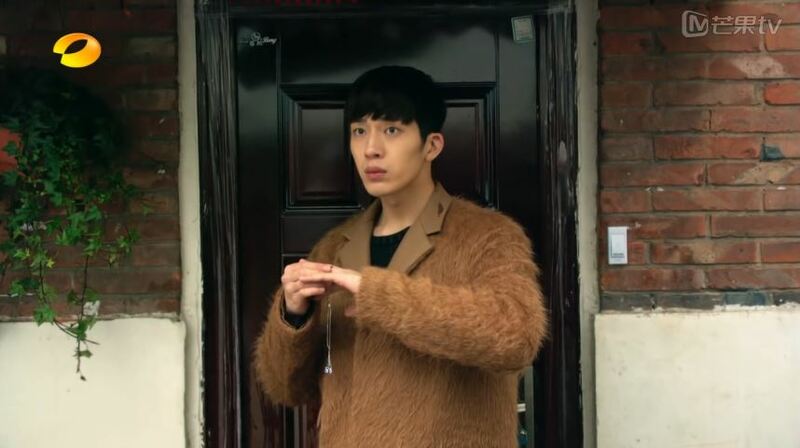 Gong Ming walks on the bridge and remembers that he is supposed to meet someone there. He vaguely sees Xiang Xiang’s image, but it escapes him quickly. hey! 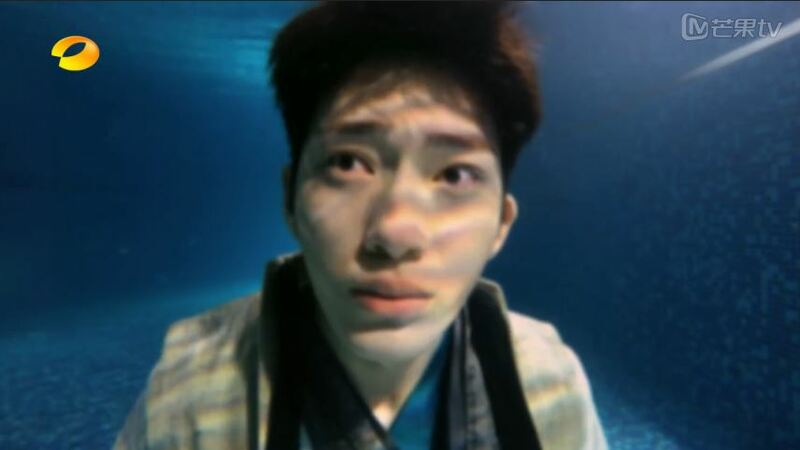 he can open his eyes under water? 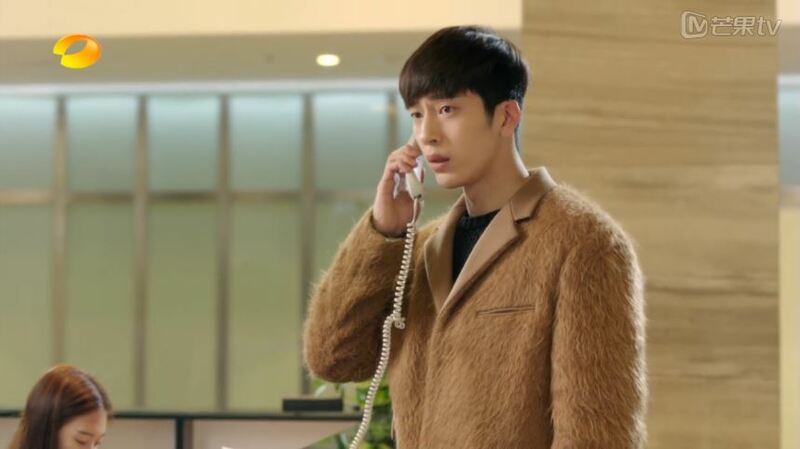 For some reason, he remembers Xiang Xiang’s phone number, so he calls up her up and Jing Jie picks up. She freaks out upon hearing his name and hangs up the phone. Xiang Xiang asks if anyone called and Jing Jie says no. And then, SOMEHOW, he knows where Xiang Xiang lives. This is getting a bit, uh, unrealistic? Maybe they will explain all this later, or maybe he remembers everything except what Xiang Xiang looks like? How convenient. Also, where did he get the money to get around? I thought he stored everything in that train station locker? He didn’t even go back to get it, but I’m glad he didn’t ‘cuz the fur coat + backpack combo would have been weird. Anyway, Jing Jie, Xiao Nan and Xiang Xiang come out of the residence at the same time, but none of them recognize Gong Ming. Xiang Xiang pauses in front of him to ask if he knows her, but he tells her they are meeting for the first time. 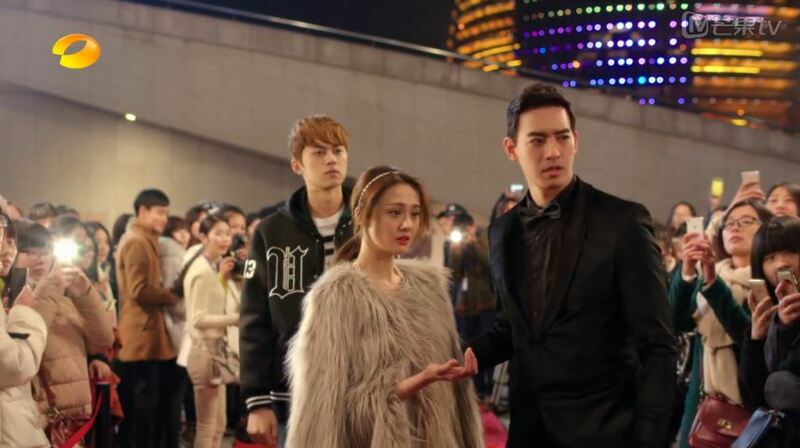 Unfortunately, Xiao Nan and Jing Jie rushes Xiang Xiang away just as Gong Ming is about to reveal his name. 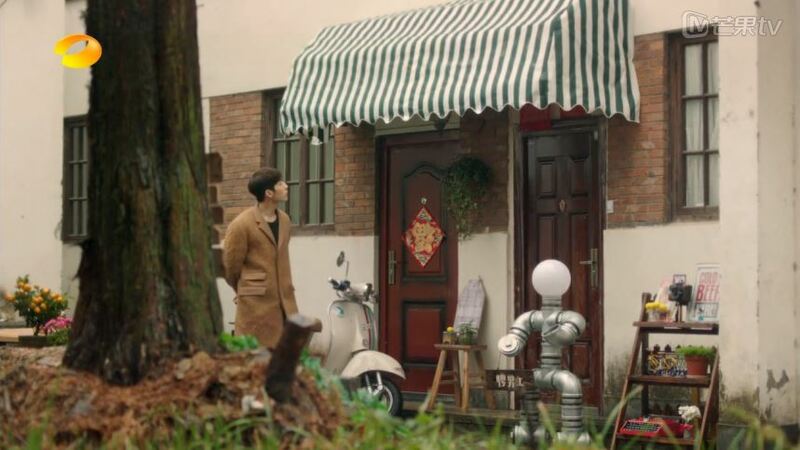 After the trio take their leave, some delivery man rushes over and dumps a package on Gong Ming, saying it is for Xiang Xiang (great delivery service…). Gong Ming opens it up to find the couple ring. He admires the rings for a bit and puts one of them on, and BAM! All his memories rush back like crazy. Next, we catch up to where we ended at in the last episode – at the award ceremony. Gong Ming gives Xiang Xiang the ring, but she doesn’t recollect who he is at all. He apologizes for being late, but before he can say anything else Yu Fei comes by to lead Xiang Xiang away. While in the car, Xiao Nan picks up Xiang Xiang’s phone and it is Gong Ming on the other side! Xiao Nan also freaks out and he along with Jing Jie decide to greet this “Gong Ming.” They act tough and threaten to call the police if Gong Ming keeps on stalking Xiang Xiang. They also tell him that Xiang Xiang is dating Yu Fei. Gong Ming mopes at the bridge by himself after confirming that Xiang Xiang is happy and successful. At the award show backstage Xiang Xiang puts on the ring but nothing happens. She tries really hard to remember what Gong Ming looks like, but he is still very blurry in her mind. And then all of a sudden it comes back to her just like that! It’s okay! True love means they will always find each other. Always I tell ya, always, unless if there’s some dramatic twist which will only prove their love is stronger than anything else in the world even though they’ve only known each other for like a month at most. So, Xiang Xiang finds Gong Ming at the bridge and they hug and make up. She tests his memory of all the things they’ve done together, which is really not that many to be honest. But whatever! True love! Xiang Xiang: Do you remember when we had our first kiss near my house? Gong Ming: That’s not right. You seem to have forgotten the time when you snuck up on me. Xiang Xiang: That doesn’t count! That was just my one-sided behavior. But whatever, as long as you remember. Awwwww… this is cute, but can we get some more intense obstacles? 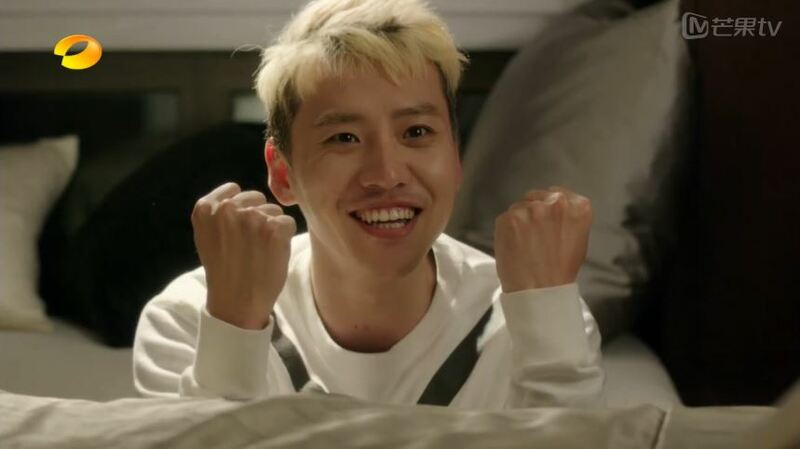 It’s already episode 11, I need something that will test their forever love! Haven’t had enough? Click for episode 12 recap! While Jing Jie and Xiang Xiang have their late night chat, Xiao Nan suddenly pops up from under the bed to join in. LOL. Ying Yue wants to go meet Wang Mang with Gong Ming, but he tells her that since he is planning to marry her she is no longer his guard. Xiang Xiang takes off her shoes to run after Gong Ming because the shoes are sponsored and cannot be ruined. 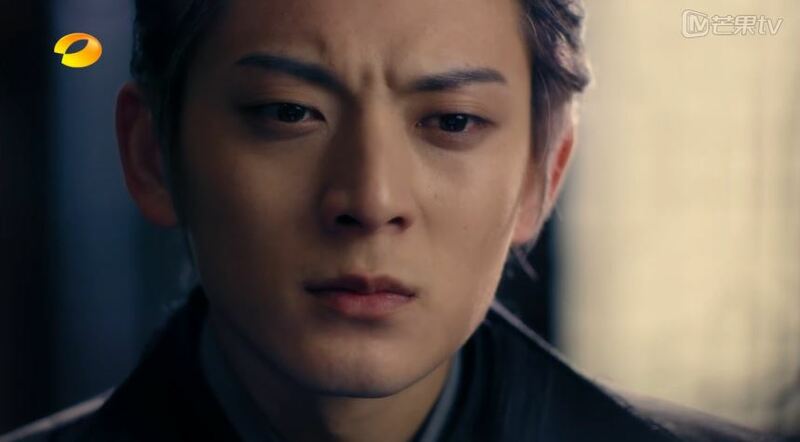 poor wangmeng…he is heartbroken… i hope he will get good partner..
Yah me too. I think he will probably end up with Ying Yue, unless if he goes off the deep end! Thanks for the recap. This version has way less kissing so far, but the original was an cable. Really? I already think they are kissing plenty in this version!